Air pollution has become a very dangerous problem in China, particularly with the youth, whose lungs and immune system have yet to fully develop. 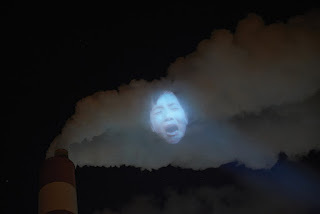 To raise awareness for this issue, clean air advocates, Xiao Zhu, projected images of suffering children onto the smog coming from factories. 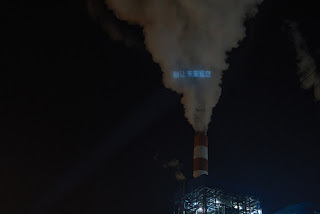 The end of the sequence reveals a simple sentence, "Clean the air. 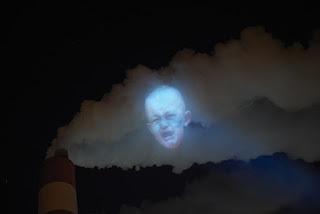 Let the future breathe again" to drive the point home. The perfect combo of disruptive, relevant, powerful, and well executed.